The ground-breaking ceremony for the new Sheltering Arms Rehabilitation Institute took place back in May 2018. Since that time, VRMCA-member S.B. 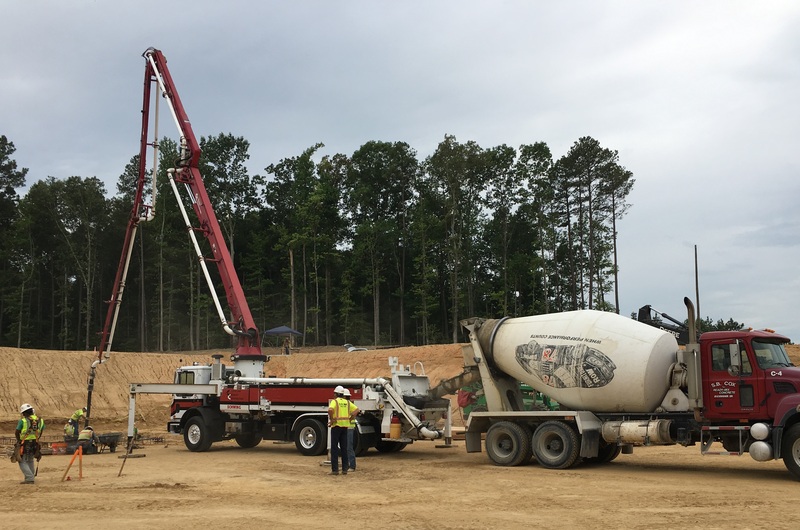 Cox Ready Mix has been busy delivering concrete for the $95 million state-of-the-art hospital that will provide care for individuals who have survived stroke, spinal cord injuries or brain injuries. The Richmond-based company was awarded the concrete contract – with Cleveland Cement Contractors, Inc. – for the 212,000 square foot project. S.B. Cox started delivering what will end up being a total of 9,000 cubic yards of 4000 psi concrete on July 2018. The concrete is for the foundation, slab on grades and metal decks, and is slated to complete deliver in February 2019. The 114-bed Sheltering Arms Rehabilitation Institute is scheduled to open late spring of 2020.